One thing that amazed me about the Walcheren campaign (1809) was the sheer number of civilian observers who accompanied it. Was this normal? I don’t know. It’s interesting, though. Probably one of the reasons so many civilians were allowed to accompany the expedition is that so many of the planners thought it would be a walkover. 40,000 men and 600 vessels could not possibly fail to succeed against an enemy which, according to (fairly inaccurate) intelligence accounts, was probably no larger than 18,000 ill-equipped men in total, scattered across the wide area of the Scheldt river basin. Napoleon had probably taken all the best troops inland to deal with the Austrians, who had recently reopened the continental campaign and were initially doing quite well. Walcheren was supposed to be utterly undefended, and Antwerp (the ultimate objective) was believed to have crumbling, badly-maintained defences. How could the campaign fail? And so privileged tourists were not discouraged from tagging along. No, “not discouraged” is too tame: they were invited. Mostly, it seems, by Sir Home Popham, the controversial naval officer who was the mastermind behind the campaign’s planning. I can only imagine what Lord Chatham’s reaction must have been when someone told him what Popham had done. But Popham had his agenda. Some of the people he invited had specific roles to play in spreading word of the campaign. Some of them were high-profile aristocrats with political connections. Some of them were, frankly, just hangers-on. Essentially, they were all meant to bring home a uniform message: the campaign was going well, and Britain’s military in action was an impressive thing. Of course the campaign did not go well, and Britain’s military simply twiddled its thumbs, sank knee-deep in water, then keeled over impressively with malaria. And Popham’s “guests” turned out to be liabilities in more ways than one. He probably regretted inviting most of them. Several noblemen accompanied the expedition. Lord Yarmouth volunteered his private yacht to the fleet, and came with it. One of Lord Dormer’s brothers also attended, “to see The Fun“. A gentleman named Richard Neville also came with Yarmouth “in hopes of finding a passage on board a seventy-four”. The observer who seems to have left the most sizeable paper trail behind him, however, was William Lowther, Lord Lonsdale. Lord Lowther was the eldest son and heir of the Earl of Lonsdale. Lonsdale was a prominent government supporter with family connections to Lord Mulgrave, the First Lord of the Admiralty. Lowther was twenty-two and had recently been elected to Parliament. He was also something at a loose end, and fancied seeing Antwerp. Popham no doubt thought he might have a quiet word at the Admiralty on his behalf and invited him along. Lowther’s journal is nevertheless an amazing historical resource. He was clearly very much in the way, following Lord Chatham (the commander in chief) everywhere, all the while loudly complaining about his incapacity. He continued sending accounts of British movements home — Chatham’s plans to continue to Antwerp, the movement of troops to South Beveland, naval dispositions — all while spending much of his spare time searching unsuccessfully for Middelburg’s “bawdy houses” to make a “Dutch peace“. Finally, on 11 August, Lowther sprained his arm falling off his horse and eventually went home after the bombardment of Flushing, utterly disgusted with what he had seen and convinced that, “if at any time there was any chance of reaching Antwerp, it was entirely thrown away by the inactivity of Ld Chatham”. He said Strachan had urged [Chatham], by every consideration, to mask Flushing with 10,000 men and the flotilla, and that he would engage to get round the island, either by the West or East Scheldt, and land the rest of the army, 25,000 strong, near Antwerp; but Ld. Chatham said drawlingly, we had better wait two or three days to see what would come of this first. Those two or three days were decisive of the whole business. Unsurprisingly, when Lowther was offered a place as a junior Admiralty minister under Spencer Perceval, he hesitated, certain Chatham (a member of the cabinet) would block his appointment out of spite. He was wrong. “I can only say,” Chatham wrote to Perceval, “that as far as I am concerned, I have not the least wish, that any opinions he may have taken up … shou’d interfere, with any general advantage to be derived to Government, by his accepting Office”. Lowther’s friends admitted it was “a handsome letter, and, it must be owned, what was not expected”. But Lowther had completely misjudged Chatham, who, though perfectly capable of holding a grudge when personally threatened, had no reason to act peevishly towards small fry like Lowther. Another, less youthful civilian observer was Sir William Curtis, a London alderman, who brought a vessel, “beautifully painted, adorned with a Streamer bearing devices prognosticating victory and glory, and carrying delicate refreshments of all kinds to the military and naval commanders, and the principal officers”. Curtis, a friend of Castlereagh and Chatham, became more into a figure of ridicule than anything. Having once plied the military commanders with turtle soup, he was shown in caricature after caricature provisioning high command with the turtles which became so representative of the slow-moving expedition. Curtis’ involvement had probably been welcomed by the politicians as a sign that the expedition had the City behind it. Now he became a liability, and his highly recognisable figure helped pile the ridicule on the government. Like Lowther, Finnerty was invited to join in with the expedition by Sir Home Popham. He was an Irish-born journalist working for the Morning Chronicle, and Popham (who had plenty of connections with newspapers) persuaded him to come with the expedition to report home on it. His role would nowadays be described as “war correspondent”. Although the Chronicle was an opposition paper, Popham probably hoped Finnerty would report neutrally. Finnerty’s background was colourful. He had been tried and imprisoned for seditious libel in Ireland in the 1790s, and he had met Popham while taking down the shorthand transcription of Popham’s court martial in 1806. He was not the kind of man the government wanted anywhere near Walcheren, and efforts were made to stop him going out. Finnerty somehow managed to sneak through, and landed with Popham at the end of July 1809. He spent most of his time in Veere, but had contacts in Flushing, Middelburg and other places, including Colonel D’Arcy, the engineer in charge of the siege of Flushing until 8 August. Eventually, of course, he was tracked down. 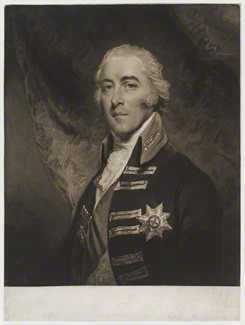 In mid-August the naval Commander in Chief, Sir Richard Strachan, personally informed Finnerty that Lord Castlereagh had issued strict orders that the journalist should be found and ejected from the island. 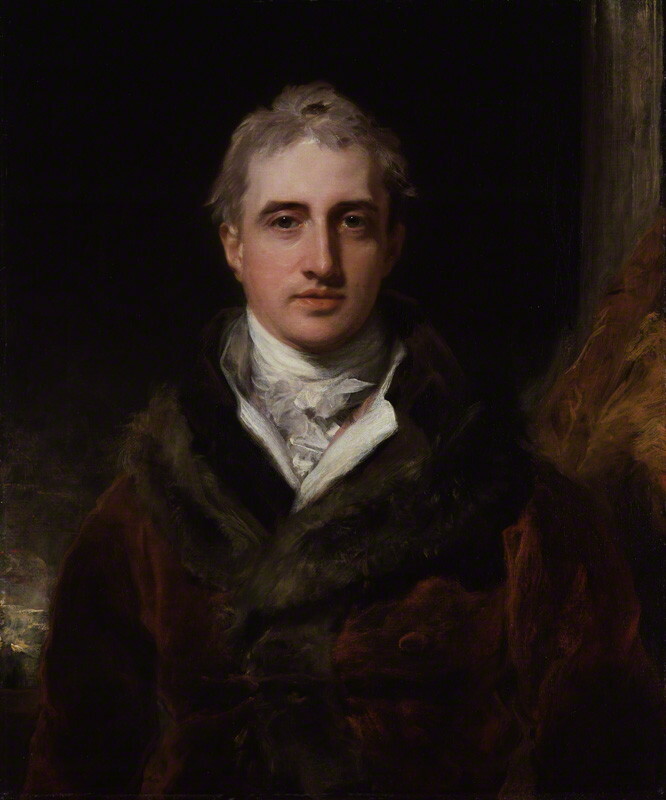 Finnerty was duly returned home “in a Revenue cutter … to please Lord Castlereagh … at the public expense”. A few months after he returned home, Finnerty got his own back by publishing a long article in the Chronicle in which he lambasted Castlereagh and accused him of personal malice and cruelty during his time as Chief Secretary in Ireland in the 1790s. The result was that Castlereagh had Finnerty arrested for libel, and Finnerty spent a further eighteen months in prison. If he needed any more coverage after this, Shelley wrote a poem in his defence. Finnerty was not the only “war correspondent” on Walcheren, but his reputation and libel trial made him easily the most notorious. It would be fascinating to trace his colleagues.